The earth is our office. Nature is our boss. Life is our reward. Protecting the environment is not a job, a calling, or a vocation — it’s a way of life. Here at El Nido Resorts, our team does our utmost to preserve the beauty that remains in our little part of the world. El Nido Resorts believes that education is the key towards fostering respect for El Nido’s natural environment. Once the respect is there, guarding this precious resource becomes an honor, not an obligation. This is the principle behind the Be G.R.E.E.N (Guard, Respect, Educate El Nido) environmental practices training seminars attended by all resort staff. Launched in 2007, Be GREEN consists of seminars tackling ecological solid waste management, water conservation, energy conservation, biodiversity conservation, and environmental legislation. A short quiz is given at the end of each session and, after all the modules, a final exam. A sustainability tour is also conducted after the training. They undergo immersion training in the Materials Recovery Facility and organic farm of the resort. Staff members who have successfully completed the training will receive their official Be GREEN turtle name pins. Garden and Motorboats and Bancas Depts. The Be GREEN videos were launched in 2010, serving as a short-form environmental education program for guests and as a refresher course for staff. The videos are also shown in the waiting lounge of Lio Airport. Our Be GREEN program received the Pacific Asia Travel Association (PATA) 2011 Gold Award for Environmental Education. Community engagement is a cornerstone of El Nido Resorts. In addition to educating our staff, the environment team also hosts Be G.R.E.E.N. sessions at public schools in the El Nido area. The schools we work with include Kiminawit Elementary School, Brgy. Villa Libertad Elementary School, and Maytegued Elementary School in Taytay. We explain the biodiversity of El Nido, shed light on the threats to their environments, and offer ways in which they can Be GREEN moving forward. The lecture is always complemented with singing, dancing, and games. 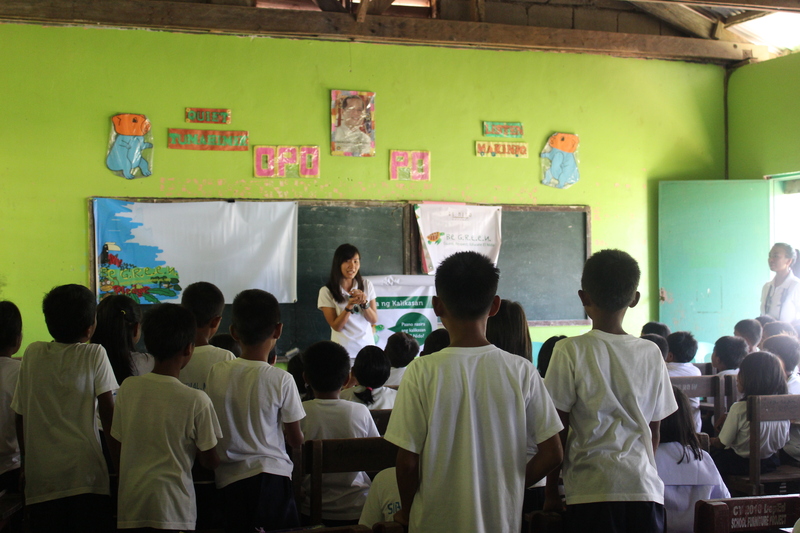 Since it began, over a thousand students have participated in the Be GREEN program, as well as over 30 local boatmen, over 20 security personnel, 38 contractors and their workers, 15 LGU personnel and approximately 35 fishermen. The company is committed to creating wider and wider Be GREEN ripples. This is one of the staff’s favorite activities as we always have tons of fun with the kids, while learning about the environment. Our Be GREEN Beyond El Nido Resorts received the Pacific Asia Travel Association 2015 Gold Award for Environmental Education. Our Marine Sports Guides aren’t just trained to teach you how to snorkel and kayak – they can help you learn about El Nido’s flora and fauna as well. Our Environmental Officers conduct annual week-long Nature Interpretation training for the Marine Sports Guides so that they can better share their knowledge with visitors. Staff from other departments are also invited to join the training. Solar panels are installed in the Entalula and Dibuluan Beach Clubs, as well as in Pangulasian Island Resort’s club carts and staff house. The solar panels in the beach clubs power the bar’s blender, radio charging station, and lights in the toilets. On Pangulasian, the panels power water heaters for the staff rooms. To prevent anchor damage on coral reefs, the El Nido Resorts Dive Crew and Environment Department installed and maintain mooring buoys in 21 sites around Bacuit Bay. 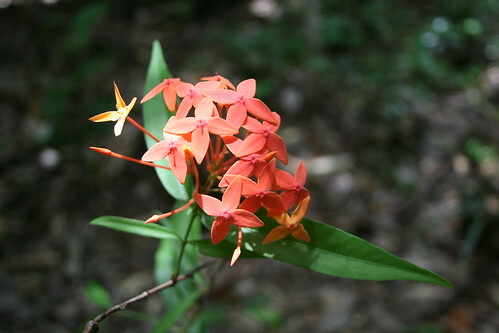 These are especially important in high-traffic areas such as the Small Lagoon and South Miniloc. Read more about why mooring buoys are important here. With the conscious decision of creating more sustainable menus – meaning using ingredients with less food miles, more organically grown components and greater contributions to the local economy, we saw our uptake of local ingredients increase from 15% when we started measuring over six years ago to close to 58% today. In addition to patronage of local suppliers, our vegetable farms that use the compost produced at the MRF produce tons of lettuce, herbs and other local vegetables for the resorts. El Nido Resorts supports scientific studies on the flora and fauna of El Nido and Taytay by providing board and lodging, boats, equipment (e.g. dive gear), and added manpower to visiting researchers. In 2007, 2008, 2009, and 2011, El Nido Resorts hosted Dr. Gerry Allen and Dr. Mark Erdmann during their coral reef fish survey of Bacuit Bay and Sibaltan (El Nido) and Taytay Bay (Taytay). The survey found 855 species of coral reef fish in El Nido and 403 species in Taytay Bay. 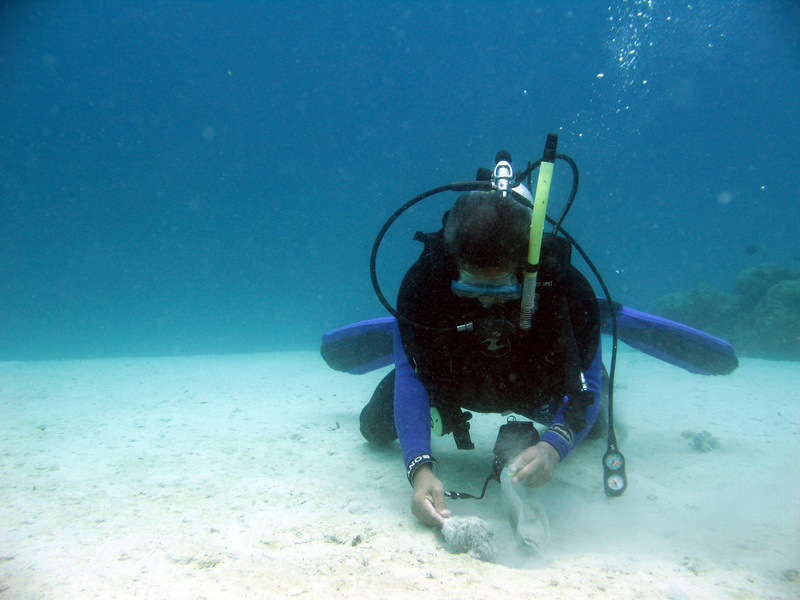 They also found several new species of fish, including damselfishes, gobies, a wrasse, and a jawfish. The El Nido survey resulted in the book “Reef Fishes of El Nido”, which features 110 of the most commonly seen coral reef fish in Bacuit Bay. In 2011, herpetologist Dr. Arvin Diesmos of the Philippine National Museum and field botanist Mr. Ulysses Ferreras visited El Nido for short terrestrial surveys. 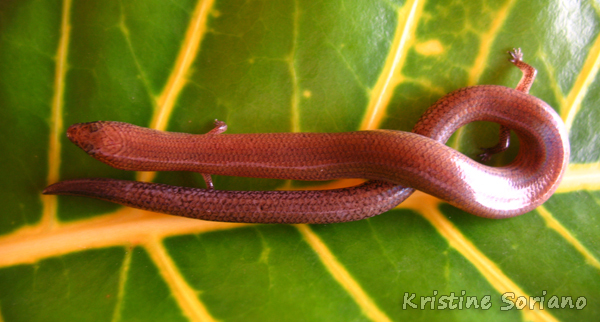 Dr. Diesmos looked for frogs, toads, lizards and snakes in the islands of Lagen, Miniloc and Dibuluan, and in Brgy. Villa Libertad in mainland Palawan, while Mr. Ferreras conducted habitat assessments and identified plants in Lagen, Miniloc, Pangulasian, Dibuluan, and Snake Islands. Dr. Diesmos and Mr. Ferreras hosted evening talks attended by the resort guests and staff to further highlight and emphasis the need to protect Palawan’s biodiversity. It’s good to know that you can have fun while doing your part. Every year, El Nido Resorts joins the world in celebrating the environment that gives us life. Earth Day, World Oceans Day, International Coastal Cleanup (ICC), and World Responsible Tourism Day are celebrated yearly with coastal and underwater clean-ups, mangrove planting, acoustic jamming, presentations from the Environment Department, film showings, food and games. 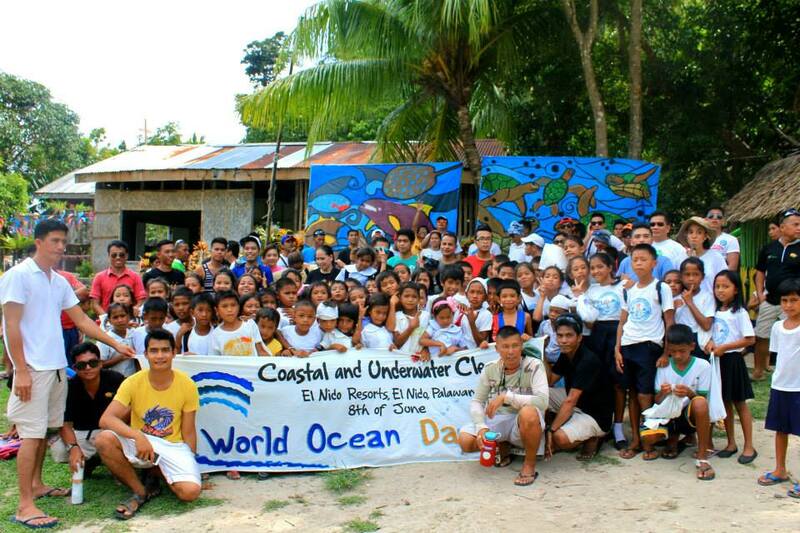 For ICC 2014, ENR engaged the whole municipality of El Nido to do a simultaneous coastal and underwater cleanup. A total of 2,193 people from across the 18 barangays gathered trash underwater, in the islands, coasts, streets, and waterways. The whole community was one in successfully removing 4,751.4kg of trash. El Nido Resorts also supports World Wildlife Fund for Nature’s Earth Hour program in raising awareness for global warming and climate change. To further decrease carbon dioxide emissions at the resorts, the Environment Hour program was launched. Generators are turned off for an hour every full moon of the month from January to May. The money saved is used to fund environmental projects such as watershed reforestation and outreach programs. For this year, we are set to donate solar lamps to Barangay Beton in Taytay, Palawan. Resort employees also continuously assist in monitoring efforts: Environmental Enforcement Officer Rey Reyes assists in the enforcement of the “no-take zone”. ENR also champions the conservation of endangered sea turtles with hatchling send-off from nests safeguarded by resort staff. 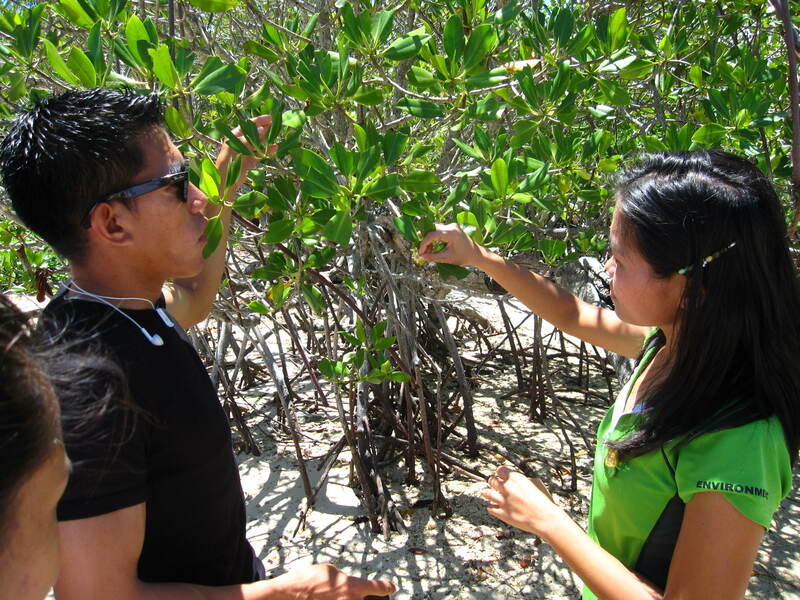 Resort staff also assist in mangrove reforestation projects in El Nido and Taytay. El Nido Resorts is giving guests more options to interact with the local community. In 2014, Fishing with the Community activity was reintroduced after several years of hiatus. This activity encourages guest interaction, where in guests learn from the fisherfolks who willingly share their knowledge in traditional bottom-fishing. For the fishermen, this activity generates a greater economic opportunity for them, as earnings in a few hours is even more than what could take whole day to catch. Their first-hand experience with guests also make them appreciate the need to protect Bacuit Bay. Tourism is El Nido’s biggest economic contributor but it carries the seeds of its own downfall. With tourist arrivals growing by the year (over 50,000 now compared to 20,000 in 2007), we at Ten Knots foresee even more challenges for everyone. Our long-term partnership with the Local Government gave us opportunities to address concerns such as the need for a more comprehensive and updated land and water use plan, carrying capacity studies in high tourist areas, common wastewater treatment for mainland resorts, etc. We are part of the Protected Area Management Board that creates standards for developments within the Protected Area. We are also an active member of the local resorts association, the local and provincial tourism councils, and act as de facto ambassadors of the destination in travel and trade shows locally and internationally. We are among the first Philippine properties to be signatory to the Private Sector Commitment to the UNWTO Global Tourism Code of Conduct.